Some years ago my husband and I drove to Minot, North Dakota to visit our son. The drive north was at a leisurely pace that allowed us to visit both large and small towns, enjoy sweeping views – and in striking contrast from here at home – enjoy well-kept roadways and towns virtually free of litter. I think about that trip occasionally when driving the Arthur Ray Teague Parkway where litter often abounds along this, the nicest drive in Bossier City. So Wednesday’s announcement that Bossier City and Parish officials look to clean up the city and parish ahead of Barksdale’s air show later this month is welcome news. For the present, Operation: Clean Sweep will kick off on Saturday, April 12, when multiple city and parish agencies will spend the day picking up trash from parish roadways. Volunteers interested (residents, groups) in participating in the day’s work to beautify the parish can show up at the Bossier Parish Sheriff’s substation on Viking Drive at 8:00 a.m. to support the effort. The April 12 event coincides with the national Keep America Beautiful Great American Cleanup annual event. Bossier Parish Sheriff Julian Whittington, who may know more than most about the litter problem on the parish’s highways and byways, noted that the state of Louisiana was estimated to have spent more than $40 million last year on litter control – money that might have been better spent on other state needs. He also pointed out that his agency uses inmate labor to collect trash along parish roadways – last year that effort totaled 39,000 bags of trash. While Operation: Clean Sweep’s present emphasis will be on cleaning up the city and parish ahead of Barksdale’s air show and open house, the effort is planned to continue throughout the year. And that’s where public participation sure could make a difference over the long run. One of the most interesting experiences about that long drive to North Dakota was that the further north we went, the cleaner the environment – roadsides were mowed and ever so clean. Undoubtedly, local governments took care of the mowing. But if the signs announcing which local family, church, Sunday School class, local school, company, etc., group had adopted the next specific few miles of roadway were any indication – the clean roadsides were the result of a public volunteer effort. 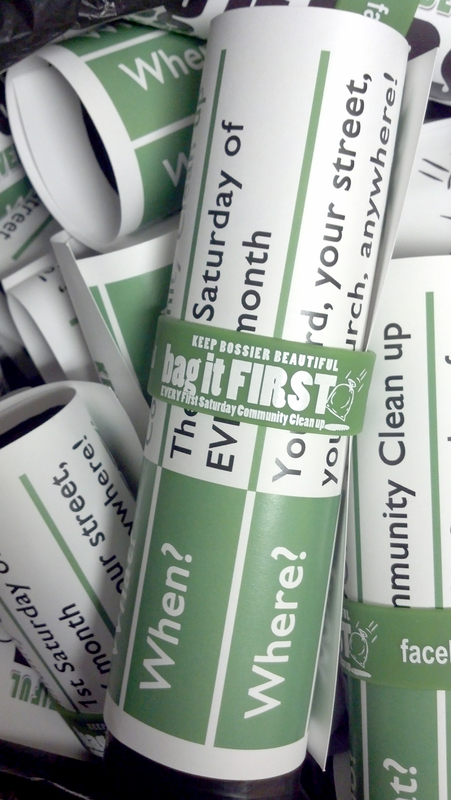 Pride pays – and the successful federal and state “Adopt a Road” program might be a helpful addition to the Bossier City-Parish effort to maintaining a clean parish. And maybe we could start with the ART Parkway.